Volunteers from Macclesfield’s charity for young people, Just Drop-In have been honoured with the Queen’s Award for Voluntary Service – the MBE for volunteer groups. At Just Drop-In at least 65 people of all ages and backgrounds give their time providing information, support, counselling services and training in life-skills to children and young people aged 12-25 years. Working with a small staff team, volunteers dedicated 4,600 hours last year helping young people – the majority of whom are disadvantaged – to ‘find their feet’. John Stephens, Chair of Trustees and ‘Drop-In’ volunteer said: ‘What a wonderful recognition for a dedicated and very able group who have done so much to help the youth of Macclesfield’. The Queen’s Award for Voluntary Service is the highest award given to a volunteer group and recognises outstanding work in the community. It was created in 2002 to celebrate the Queen’s Golden Jubilee. Just Drop-In was one of just four groups across Cheshire to receive the award in 2017. Ann Wright, Chief Officer of Just Drop-In on Duke Street said she was delighted: “We are so honoured to receive this Award on behalf of the many inspiring volunteers, past and present, who have made such a difference to so many young lives. With this bedrock of community support, we look forward to offering that help for many years to come”. There has been a significant increase in the numbers using Just Drop-In’s services in recent years demonstrating the strong need for support. Last year almost 500 young people were assisted a total of 3,366 times – one in five of them for counselling – making a real impact on their well-being and life chances. Volunteer Anna Wainwright and Volunteer and Services Coordinator Faye Ronan were invited to attend a Garden Party at Buckingham Palace earlier this month to recognise this achievement. Anna Wainwright, a volunteer youth worker and counsellor for nine years said: “I feel fortunate and proud to have been involved with Just Drop-In. Time and time again I have seen the difference this small, friendly, fabulous organisation with its lovely people, makes to young people’s lives. Many of us are lucky enough to be born into loving and safe homes with, food on the table. But life isn’t like that for many young people we see and if we can address that inequality then to me that feels the right thing to do”. Just Drop-In was a millennium project of Macclesfield Churches Together and first opened its doors in 2001. The charity now has premises on Duke Street and is open six days a week. It thrives on a network of local supporters and partners, and relies on the vital contribution of volunteers from the community. Funders include Cheshire East Council, Cheadle Royal Hospital Trust, Macclesfield Town Council, Cheshire Community Foundation, NHS Eastern Cheshire Clinical Commissioning Group plus dozens of individual donors and fundraisers. Patron of Just Drop-In, Macclesfield MP David Rutley said “This is clear recognition of the real impact the dedicated volunteers at Just Drop-In are making in supporting and improving the well-being of so many young people. It is an honour to be Patron of such a proactive and positive charity, and I am very proud of their many achievements. I wish the Just Drop-In team continued success in their vital task of supporting young people in our community in the years ahead”. The formal presentation of the Queen’s Award by the Lord Lieutenant of Cheshire will take place on 22nd September. Just Drop-In will combine this with a celebration event for past and present volunteers to mark their tremendous contribution to supporting Macclesfield’s young people. 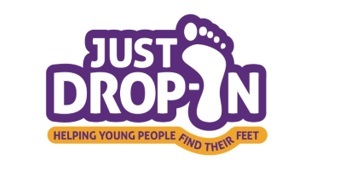 For more information about Just Drop-In’s services and achievements or to find out about volunteering please visit www.justdropin.co.uk.